Off the CUFF Comedy Competition! 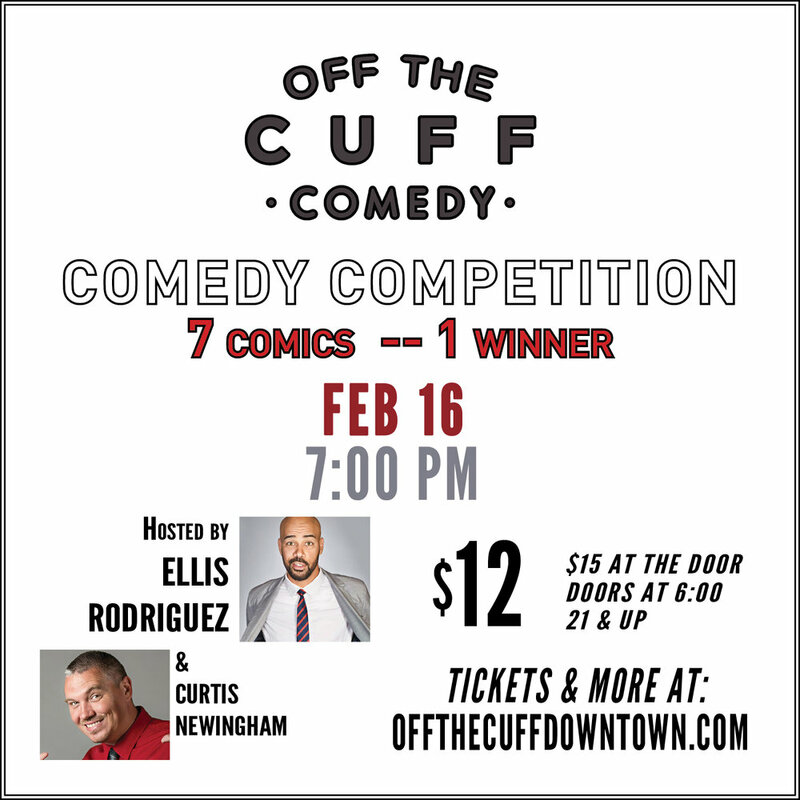 Featuring some of the best up and coming comedians in the valley - we present the Off the CUFF Comedy Competition! 7 Comics enter, one leaves with a future paid gig and cash prize! !